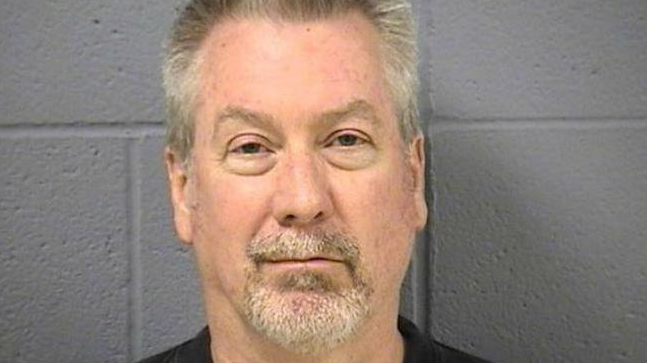 Drew Peterson (an ex-police officer) is currently serving 38 years for the murder of his third wife, Kathleen Savio. His fourth wife, Stacy Peterson (formerly Stacy Ann Cales) disappeared in October, 2007 and has never been found. Yesterday the Illinois Attorney General charged Peterson with two felonies - "Solicitation of murder" and "Solicitation of murder for hire" - in attempting to have James Glasgow killed (Will County State's Attorney). Peterson's mug shot is shown above. Anyone who is trying to dissect his body language - two emotions (thought-emotions) should immediately come to mind here: Contempt vs. Duping Delight (or both). Those who chronically display contempt (or disgust) have a higher incidence of violence (among other tendencies). Those who have a secret - and believe they will succeed in keeping it, implementing a plan to their advantage, etc. - will often not be able to contain their joyous (albeit misplaced) feelings - and thus they will smile -yet suppressing it to varying degrees. These partial/subtle/evanescent smiles are varieties of "Duping Delight" (Paul Ekman). Do you believe Drew Peterson's facial expression on this Mug shot is consistent with Contempt ... or Duping Delight ... or both? Either emotion is very a significant red flag - so when you see them, know that there is ALWAYS is a reason. Don't ignore them. Peterson's expression is somewhat subtle-to-mild here. However with clues given in past posts, you should be able to differentiate between these nonverbals.